Posts tagged "Costinha o Rei da Selva"
Costinha made his screen debut in the 1940s, and starred in a whole stack of comedies. By the 1960s he was also on television. He headlined several films that were pop culture parodies, making him sort of a minor Dolphy. His later comedy films were more of the adult comedy nature, featuring lots of naked chicks. That makes Costinha e o King Mong different, because it is relatively family friendly. King Mong is a sequel to Costinha’s prior 1976 film, Costinha o Rei da Selva (Costinha, King of the Jungle), where he plays a Tarzan-ish character who is captured by leopard men that demand he marry their queen or be sacrificed to King Mong. 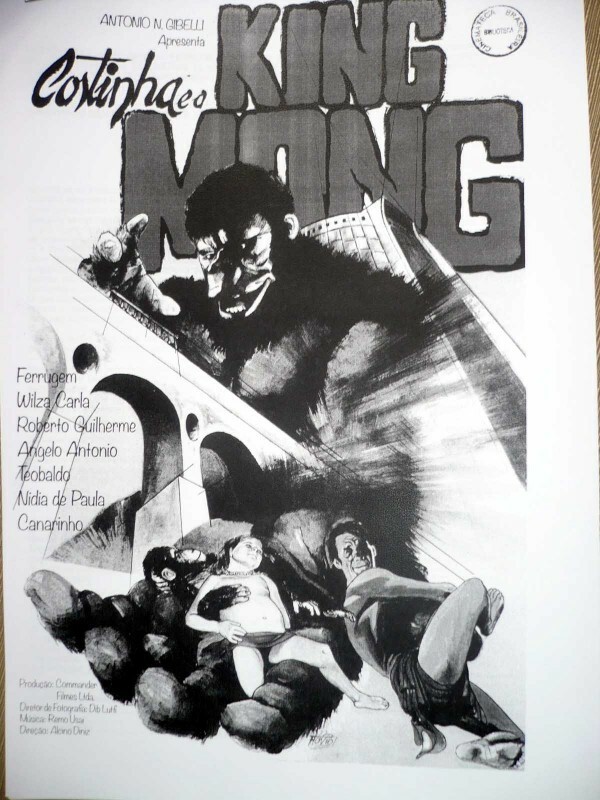 I think we all know how that turns out, and suddenly King Mong is running around Rio de Janeiro and even climbs the Christ the Redeemer statue. I am unaware of any current way to see Costinha e o King Mong. 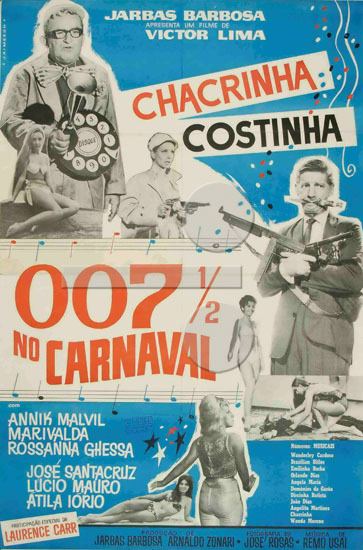 007 1/2 no Carnaval (007 1/2 at Carnaval) – 1966. 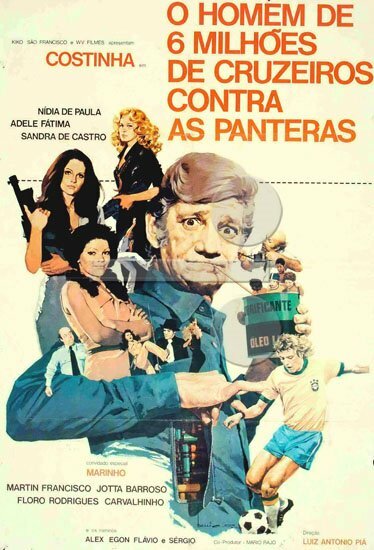 Directed and written by Victor Lima, also starring Larry Carr, Costinha, Annik Malvil, Marivalda, and Rossana Ghessa. 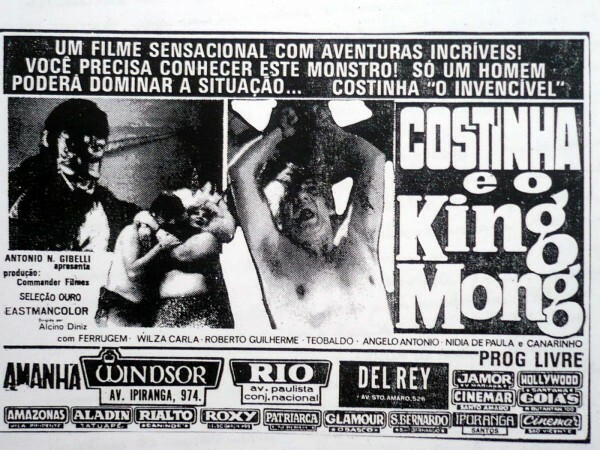 Costinha e o King Mong (Costinha and King Mong) – 1977. He also appeared on the Planeta dos Homens (Planet of the Humans) tv series, which was a Planet of the Apes-based sketch comedy show. More info here.